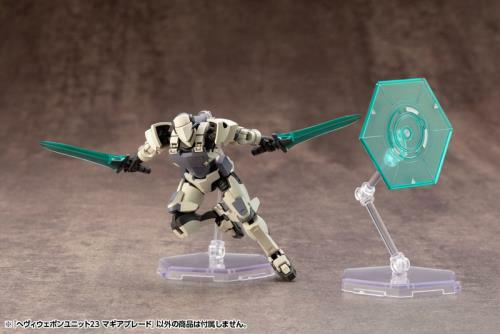 PREORDER ENDS BY 16 FEB 2019. STOCK RELEASE ESTIMATION IN AUGUST 2019. 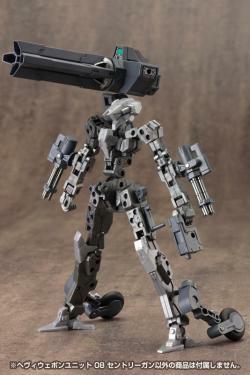 It is a set of "summon type" heavy weapon units which are combining the concepts of science fiction and fantasy. 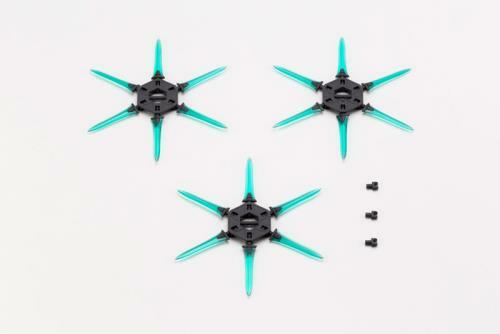 It is completely compatible with the Flying Base A! 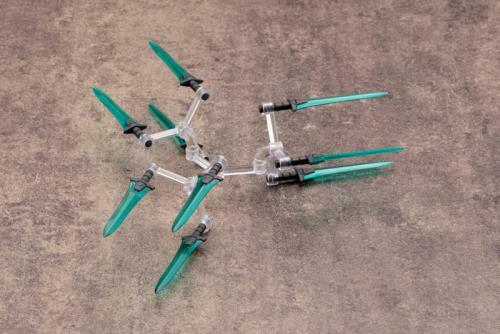 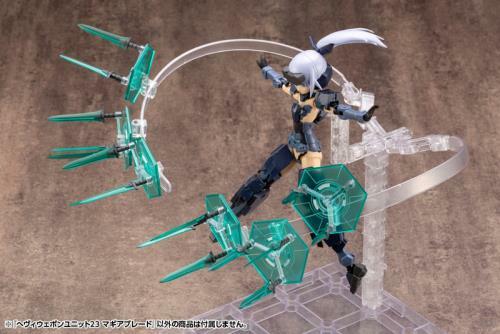 Those scenes of "throwing weapons radially" shown in anime, games and manga, can be easily recreated by using this weapon set with the included hexagon-shaped "summon plate". 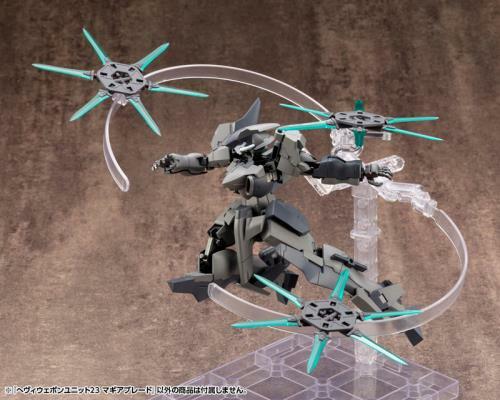 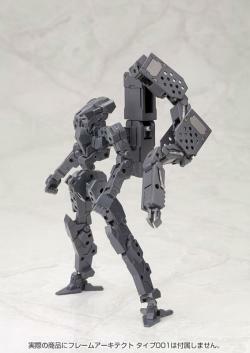 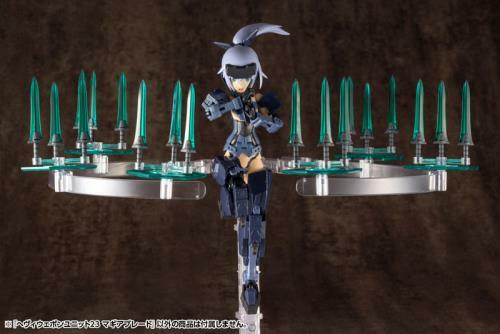 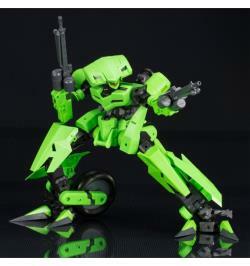 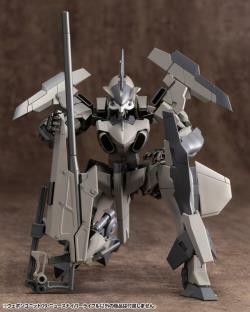 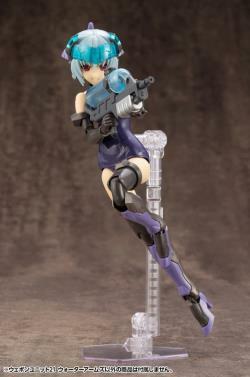 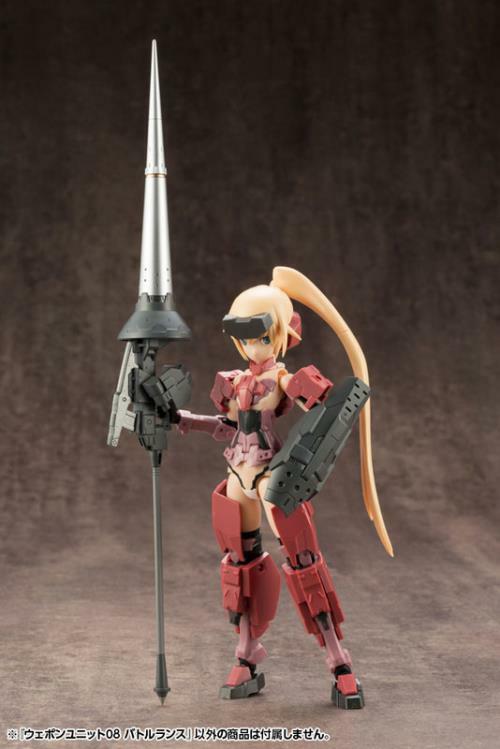 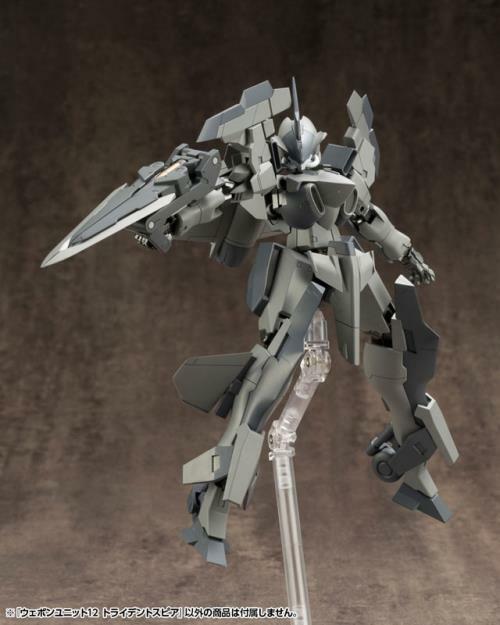 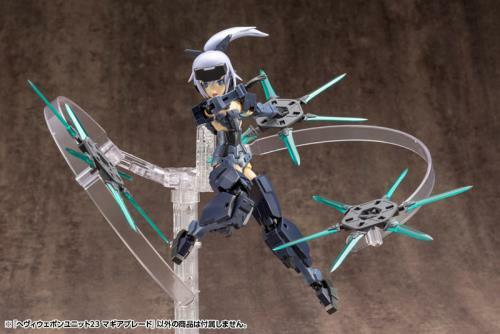 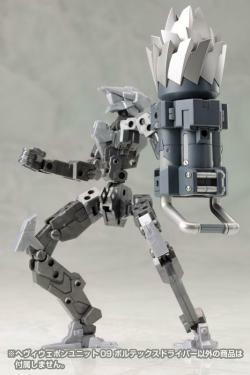 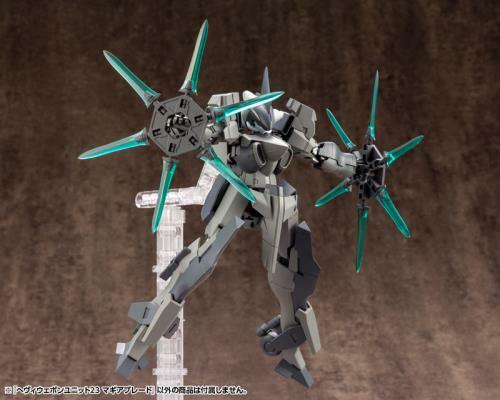 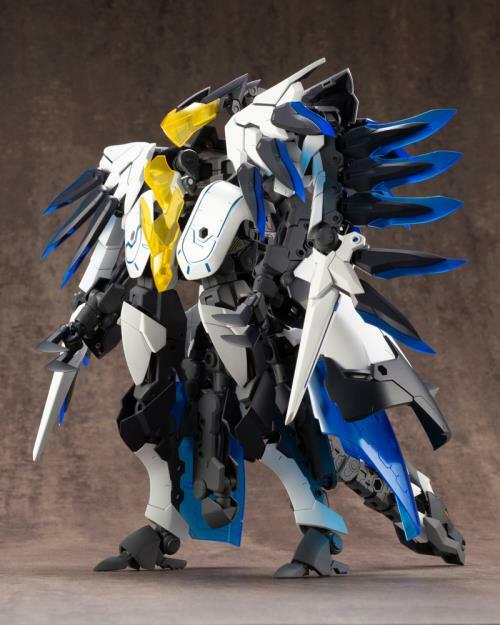 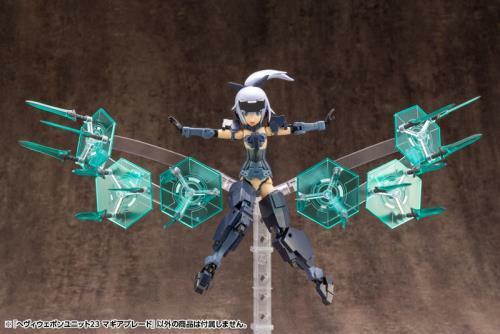 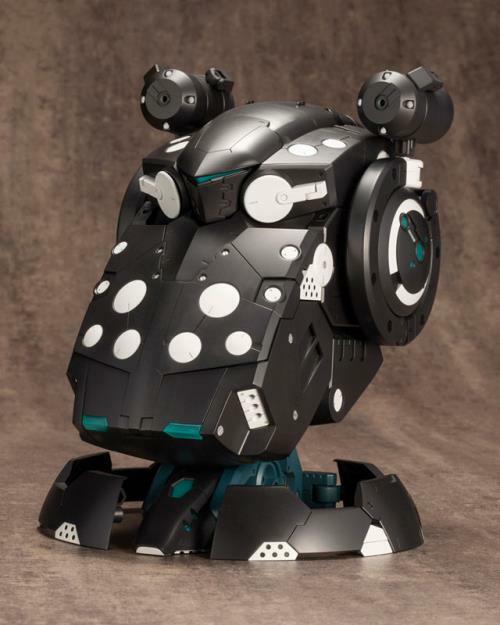 It is also compatible with the separately sold Frame Arms Girl and Hexa Gear! 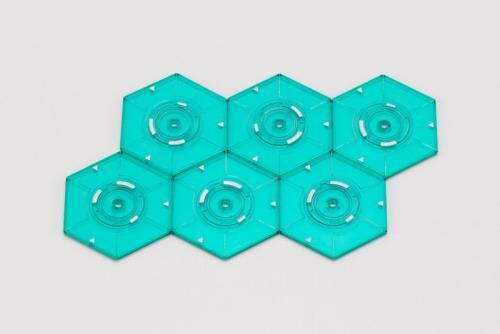 -The hexagon-shaped summon plates "Magia Field" are molded in clear green color, while they have a dia. 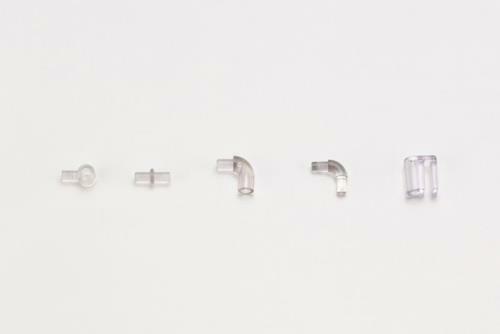 3mm hole in its center. 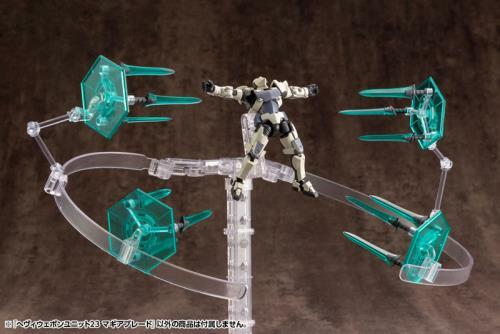 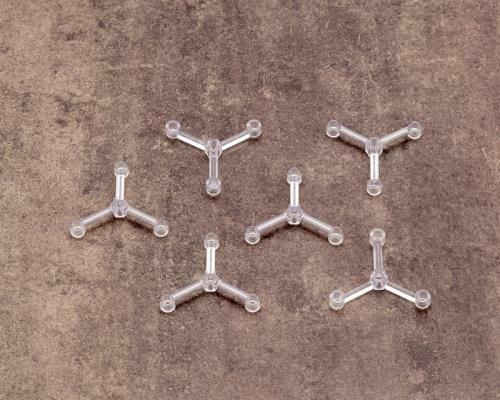 It can be used together with the mini flying base of Hexa Gear to display "floating in the air" effect. 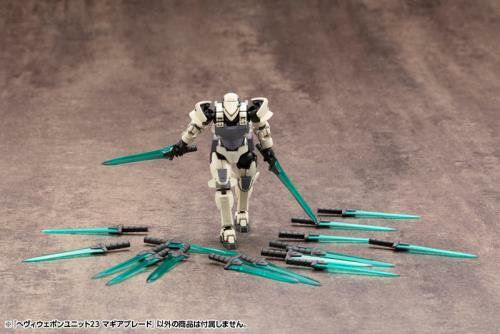 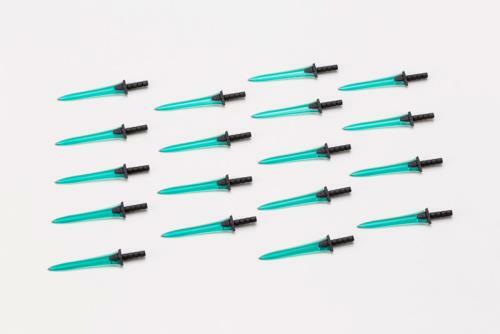 -Total 18 small "Laser Blades" with dia. 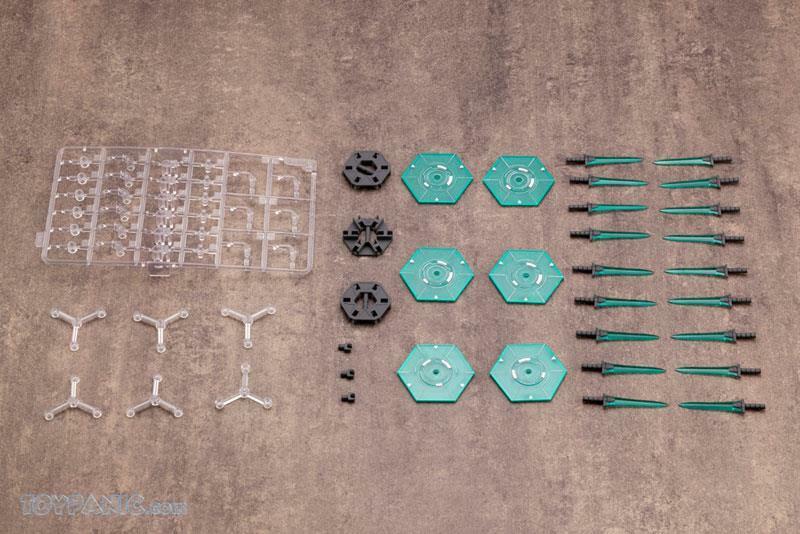 3mm grip part are included. 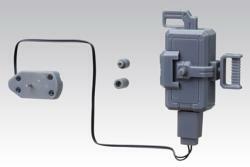 They can display in various combination according to your arrangement. 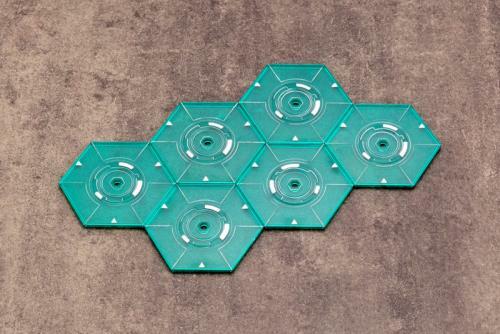 -The "Hexa Mounter" is an unit which can attach 6 Laser Blades together. 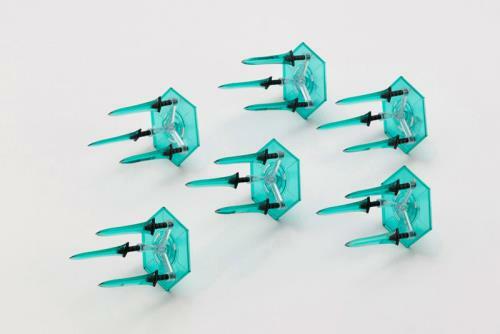 It can be used to create a large "shuriken" (throwing star). 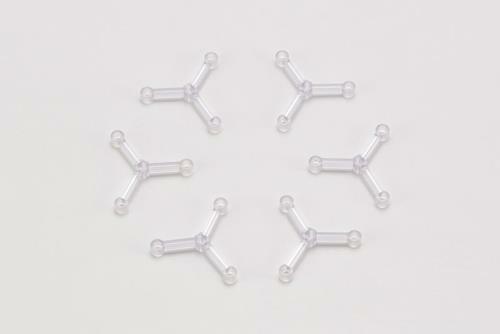 -The Y-shaped attachment part has totally 4 dia. 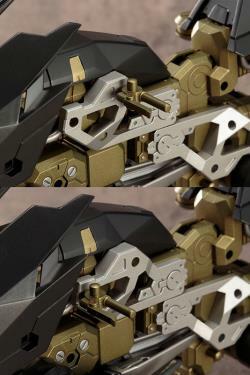 3mm holes therefore it can be connected to the included attachment parts and Laser Blades. 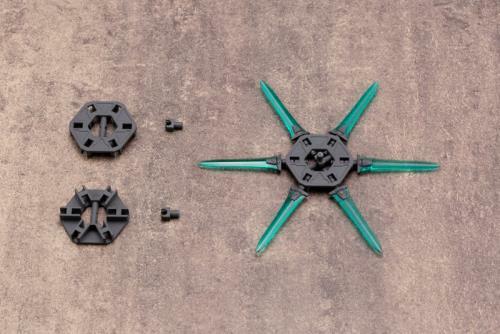 -The attachment part is common with the Fly Base A, which means there is a large room of possibility for display arrangement. 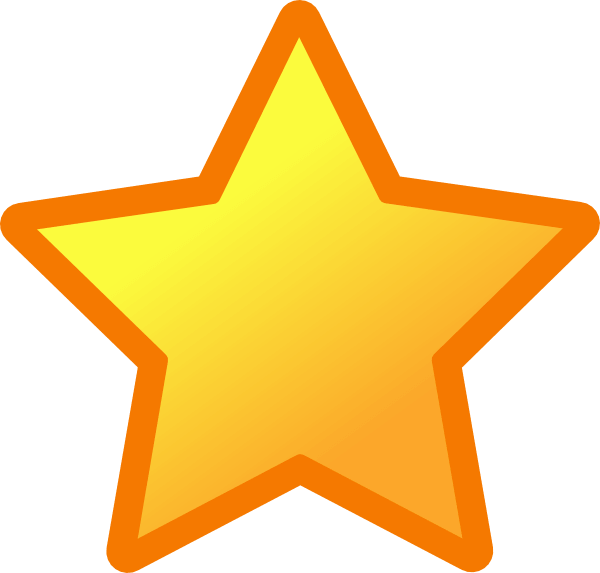 "Customer service has been great like always! 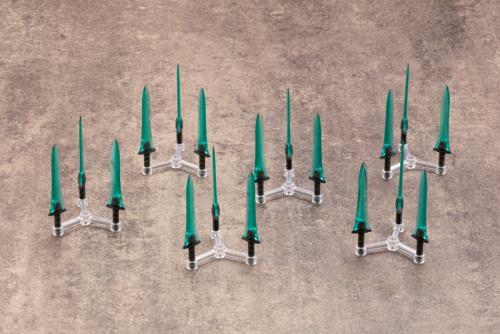 Very responsive! 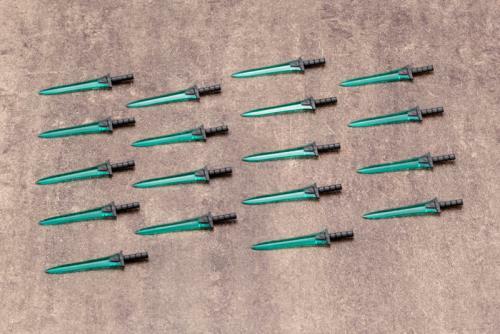 You guys nailed it well!"